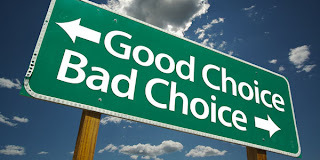 Healthy U-Akansha : Choice is Always yours! Do I stay in this blood sucking job or move out? Do I go to this party or catch up on the much needed sleep? Do I meet my friend for drinks or do I go for my jog? These are just one of the million questions that puts you in that tug of war situation every day . But the most important thing is YOU ALWAYS HAVE A CHOICE, no matter what the situation is. Same goes for your food too! you always have a choice to cutting down on some unwanted calories and instead eating something much healthier...the only problem here is do we realise how much of junk are we actually consuming? And what is the better alternative to that. So I did a little research (in my fridge ) and these are some of the foods I found worth the battle. If you are a beef/ mutton/ pork lover, a word of caution-You run the risk of all the fancy diseases in the world like CVD, Diabetes, of and not to mention Obesity of course.The plain reason for this is its high cholesterol and saturated fatty acid content. Switch to lean cuts of meat, cold cuts and chicken. when you go shopping, look for labels like low fat pressed meat (in meat). This simple switch will help you a dratically in your quest to stay fit and glowing. I know most of you answer of choice would be wine coz we all know and have read about wine being oh so healthy (I vouch for that). But the winner here is light beer, i.e if you are trying to drop a few kilos. 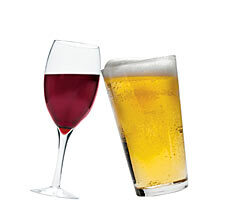 Most light brews have fewer calories than wine- 103 calories, on an average, per bottle versus 125 calories for a medium glass of wine. Plus light beer contains roughly two and a half times more water than wine does, which will help you feel more hydrated and full and less inclined to go to the snack bar! Always go for pasta with red sauce rather than one with white sauce.White sauce pasta has mayonnaise(read FAT) and refined flour. So this time don't stop when you see red! 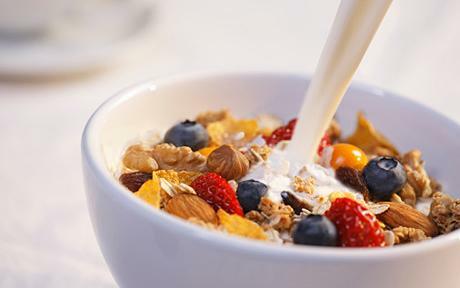 Swap from whole milk to semi-skimmed, 1% fat or even skimmed milk.Swap a sugar-coated breakfast cereal for a wholegrain breakfast cereal such as porridge or shredded wholegrain wheat cereal, with no added sugar.Swap a sprinkle of sugar on your breakfast cereal for a topping of fresh or dried fruit, which counts towards one of your five a day. One teaspoon mint chutney- 3 kcal Approx, one teaspoon cocnut chutney- 24 kcal. ( the figures are approx) the choice is yours now! These were just some comparisons which will come handy to you next time you are stuck in food dilemma. 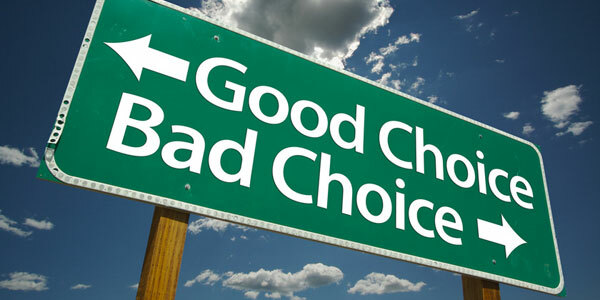 Now the choice is yours.